I just got back from a fantastic week at the International Double Reed Society annual conference at Brigham Young University. The IDRS folks really know how to put on a great event, better than any of the various other instrumental organizations whose conferences I’ve attended. They seem to draw lots of high-caliber talent to perform and lecture, and everything is always impeccably organized. And being both an oboist and a bassoonist, IDRS is a nice two-for-one deal for me. Attending conferences is one of the best things I do for my playing. How often do you get to hear, see, and meet so many of the world’s top oboists and bassoonists all in one place? BYU is my alma mater (one of them, at least), so it was fun to be back there in the scenic Wasatch Front, wander around the familiar campus, and bump into a number of BYU alumni doublereeders who had likewise made the pilgrimage. I got to kick off the week performing with the Georgia Double Reed Ensemble (a quartet). 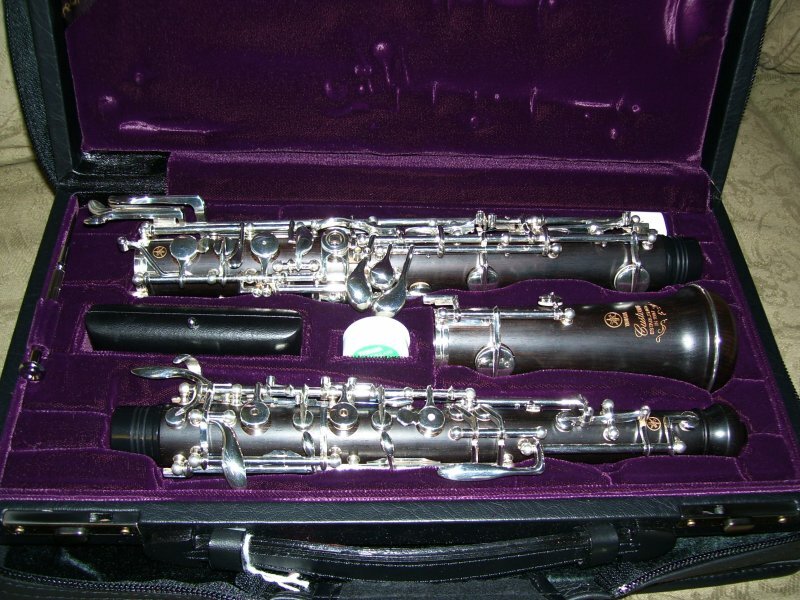 I played oboe d’amore and bassoon. Oboists Christian Schmitt and Sebastien Giot opened the series of evening concerts with a stunning Vivaldi double concerto, and followed up with an equally impressive duo recital later in the week. For my money, these guys were the real rock stars of the conference. Two extraordinarily talented musicians, and what a unique thing to see them performing together. So help me, I love that French oboe sound—so much character. Gillet/Fox bassoon competition winner Rodion Tolmachev of St. Petersburg, Russia, performed the Weber Concerto and pretty much nailed it. A nearly flawless performance if you ask me. Terry Ewell‘s circular breathing lecture was the most clear, accessible approach I’ve seen to this technique. He breaks it down into simple steps that make it seem quite doable. Check out his circular breathing videos. Bassoonist Jeffrey Lyman did a great performance of “P.D.Q. Bach‘s” hilarious piece, Sonata “Abassoonata” (S. 888) at the William Waterhouse memorial concert. I don’t think I’ve ever laughed so hard at a recital. I won’t spoil the punch line for those of you who haven’t seen it. Some double reed artists participated in the Mormon Tabernacle Choir‘s weekly “Music and the Spoken Word” broadcast on Sunday before the conference began. Some highlights were screened for us in one of the evening concerts, including Gordon Hunt’s heart-rending oboe obbligato on “Wayfaring Stranger.” Goosebumps. I liked doubler Phil Feather’s jazz oboe playing with the group Trimotif (I understand doubler Chris Bleth is their usual oboist), and Michael Rabinowitz‘s jazz bassoon playing at the customary Double Reed Jazz night. Bassoonist Kathleen McLean performed some breathtakingly lovely music with harp on one of the evening concerts. Credit to her for taking the risk of playing beautiful music instead of showing off her technical prowess. A breath of fresh air. For another IDRS 2008 report, check out Cooper Wright’s blog. What is that? It looks pretty! Thanks, Cooper. It’s a Yamaha “Custom” series. Oh, was that one of the lined ones or the regular ones? One of those lined ones I REALLY liked, and apparently so did Richard Woodhams! No, the one I picked out was unlined.